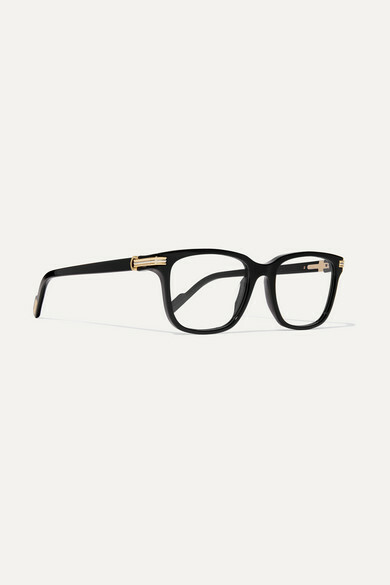 Cartier Eyewear's square-frame glasses have been made in Italy from black acetate that flatters so many skin tones. They're topped with gold-tone trims at each side and have slim, comfortable arms. Fit yours with either prescription or UV-protective lenses. 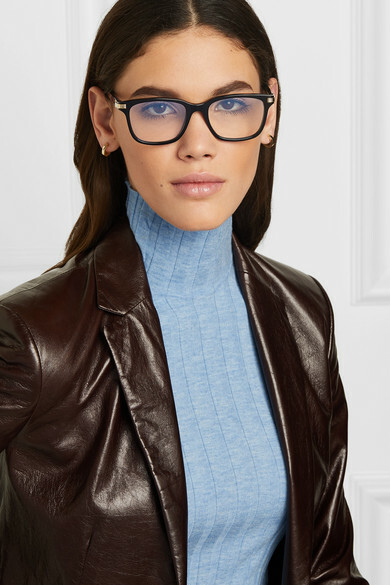 Shown here with: Helmut Lang Sweater, Theory Coat, Jennifer Fisher Earrings.